Vodafone announced today that it is working with Navico, an international marine electronics company, to bring global connectivity to Navico’s GoFree product suite. Using the Vodafone Global Internet of Things (IoT) SIM, GoFree can provide boaters, fleet managers, and service technicians with the ability to monitor, log, transmit and report important vessel information in real-time. With the connectivity, GoFree Track, an affordable hardware system, can track critical vessel information like engine hours, battery status, oil pressure, coolant temperature, fuel consumption, and more. By tracking these on-board assets, boaters can instantly access details of potential mechanical problems and share them with technicians to service the specific area in need. 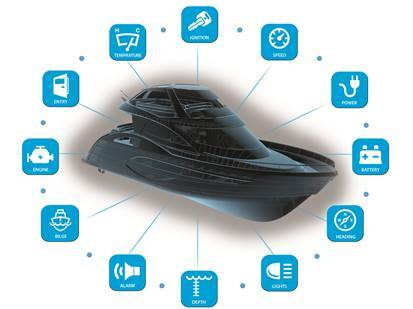 Vodafone’s IoT technology allows GoFree Track to monitor bilge levels and alarms letting boaters know if the vessel is taking on water and allowing them to react accordingly, as well as notifying them when there is loss of shore power, which can drain batteries and potentially damage onboard systems that are running.